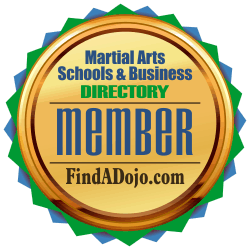 All classes are facilitated by Certified Instructors holding Black Belt or Master Black Belt status. We request potential students make an appointment to observe training, prior to applying for admission to the dojo. Visitors are asked to arrive at the dojo no later than 15 minutes prior to the start of practice, in order to allow time for introductions and a quick explanation of what they will be watching. During class, the instructors usually make it a point to check in with observers to see if they have any questions. At the conclusion of practice, there is adequate time to discuss the class more completely, and to conduct an admission interview, should the guest decide to apply for membership. The interview is intended to ensure that the expectations of the dojo and the prospective student are in harmony. Questions are encouraged. Copyright © 2011-2019: Goshinkan International Hombu Dojo, Inc.